Alarm & CCTV Installations & Maintenance. Ghost Worldwide Security (Pty) Ltd was registered with The Private Security Industry Regulatory Authority, PSIRA (registration number 2108738) in 2011. Geoff Cloete, due to his outstanding reputation and long-standing history in the security industry, was approached by numerous business and home owners, who were aware of his exceptional personal history in the industry, and asked to render his services to help combat the rapidly increasing crime in the community. In order to do so, Ghost Worldwide Security was born and trades as ‘Ghost Security Services and Risk Management’. Geoff Cloete has been registered with PSIRA for more than 20 years in his personal capacity. Geoff specialised in executive protection with Keith Conroy of Executive Protection, as well as Paragon International. He protected elite business persons in and around South Africa. He was on personal security detail for some of the most high-risk individuals in the country. He also protected well-known international business people and celebrities whilst they were visiting South Africa. One of the many high-profile events that Geoff was on security detail for was The Nelson Mandela 46664 concert and more recently the State Funeral of the late Nelson Mandela. Geoff also tactically specialised with an elite group, who worked for Altech Netstar, in the recovery of stolen and hijacked vehicles in high-risk situations. Throughout his career in the security industry, Geoff has offered his services as a South African Police Services reservist. We proudly assist SAPS with the daunting task of eradicating crime in this community. Our vision is REAL help, REAL fast! And we will live up to this standard of excellence, and use Geoff’s intricate knowledge of the industry, by only employing individuals who are not only PSIRA registered (the required minimum), but more importantly, have excellent training and a long-standing reputable history in the security industry. All our employees have to adhere to our business’s high standard of moral and ethical excellence. Geoff Cloete and his dedicated support staff and security team make these commitments central to their aims and company mission. To offer personalised, professional security for individuals in regard to their persons, properties, assets and offer them peace of mind regarding these. To maintain a degree of excellence and accountability in every aspect of our interaction with our clients. To treat each client as our only and offer them the level of security they would receive if they were to be our only client. 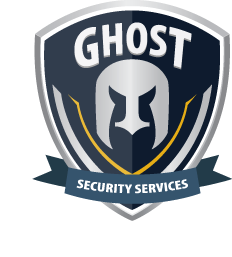 Ghost ensures its security personnel are trained in the nature of the criminal trends in the area as well as the appropriate security responses required to meet and exceed your expectations. Honesty, integrity and loyalty to both their employers and the persons and property being guarded by them. Ability to receive instruction and translate the content efficiently and promptly. Responsive, alert and attentive to the requirements of the shift. Visibility, physical mobility and the ability to respond appropriately. Ghost Security Services and Risk Management also takes all reasonable steps to ensure security personnel receive the appropriate recruitment and training and that they operate in an enabling working environment. Ghost Security Services and Risk Management monitored home alarm systems can help protect you, your loved ones and your home. When you are connected to Ghost you can relax knowing that you and your home are looked after all 24 hours a day 365 days a year – whether you are at home or away. The mandate of the PSIRA derives from the Private Security Industry Regulatory Act 56 of 2001. The primary objective of the authority is to regulate the private security industry and to exercise effective control over the practice of the occupation of security service provider in the public and national interest and the interest of the private security industry itself. Ghost’s Private Security Industry Regulations Authority (PSIRA). PSIRA registration number is: 2108738.